Air-conditioning systems keep getting better with each passing year, but of course not even the best can last forever. Continue now to learn how long cooling technologies typically last—and why, if your old system fails, you may view it as a new opportunity. Many who belong to the current crop of homeowners weren’t alive during the days before air conditioning became commonplace. That may be why so many take the technology for granted today, regarding AC almost in the same vein as running water—as a fundamental feature of any home, modest or grand. Indeed, in some regions, homeowners consider air conditioning not as a comfort luxury, but as a bona fide necessity for daily survival. However, despite the vital role air conditioning plays in the modern home, we tend to see it as a source not only of cooling, but also of mystery and frustration. 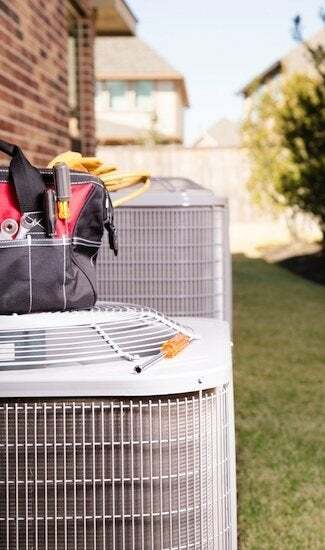 Air conditioning systems are complex, after all, leaving the average homeowner without a clear perspective on seemingly simple yet undeniably important issues of performance and longevity. 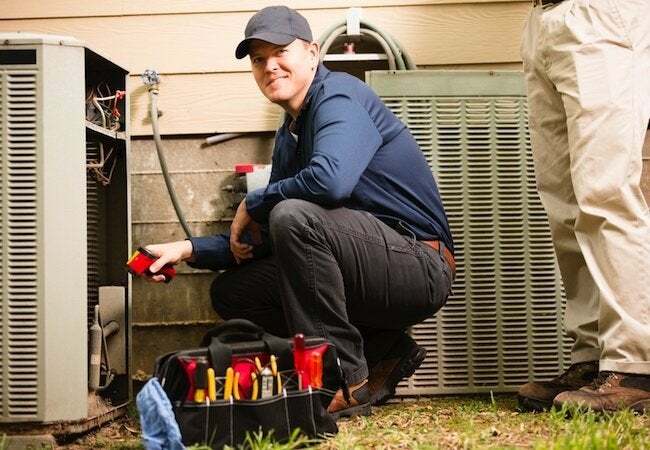 For peak performance, now and into the future, Kenyon advises homeowners with AC to seek professional system maintenance on a regular, annual schedule. It’s the best thing you can do to prolong the life of your air conditioning, Kenyon says, while clarifying that it’s not always an elective measure, as “many manufacture warranties require it.” Note that care of a cooling system calls for not only regular maintenance, but comprehensive maintenance. To service a system properly, according to Kenyon, technicians must go well beyond “a quick, visual inspection” to address all “key components,” from the compressor-condenser to the fan and blower (and sometimes even ducts). The fact is that, like cars in the driveway, the AC system typically cannot fulfill its expected lifespan without adequate service. A well-made, well-maintained central air-conditioning system under average demand typically lasts 12 to 17 years, Kenyon estimates. If yours was installed recently, it may be a decade before you start considering an upgrade. But if you suspect your system may be nearing failure, set aside a few minutes to monitor performance. Does the system grate, grind, rattle or whine? 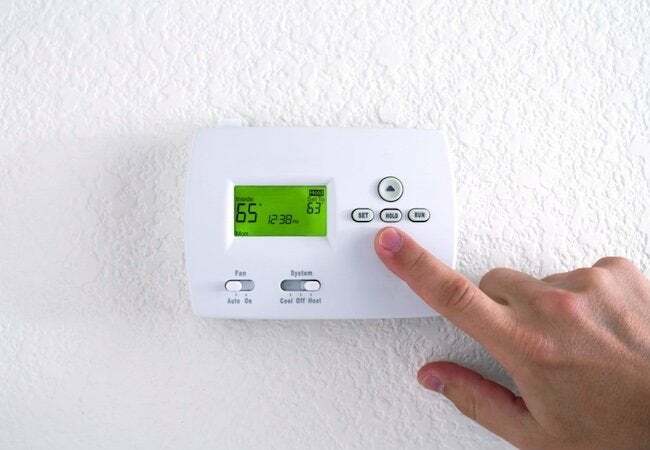 Does your home feel humid (or does the thermostat report a relative humidity over 50%)? Do you notice an unusually large amount of dust on household surfaces? Such warning signs “indicate the possible need for repair, if not replacement,” Kenyon says. Of course, air conditioning systems are also vulnerable to plenty of problems that the average homeowner wouldn’t necessarily notice. For instance, most cooling systems are designed to run in a cyclical pattern, intermittently delivering conditioned air to the living spaces. If the length of those cycles are uncommonly short or long, a system component may be compromised. Depending on the issue (“and what it would cost to fix,” Kenyon adds), you may choose to forego repair in favor of an upgrade. In fact, far from being a sunk cost, a “new high-efficiency air-conditioning system can save you money in the long run,” according to Kenyon. In recent years, with rising energy costs and mounting environmental concerns, manufacturers have launched fleets of HVAC equipment that boast superior energy efficiency. Between the latest technology and that of even 10 years ago, “there’s a night-and-day difference,” in terms of running costs, Kenyon says. In fact, for its ability to run up the monthly utility bill, Kenyon says, “often the most expensive system a homeowner can choose is the one already in the home.” Eventually, in other words, continued reliance on an older inefficient system becomes more expensive than upgrading to a new high-efficiency one. Even while requiring less energy (and less money) to power their normal output, the best AC systems today still manage to achieve all-around better results. For one thing, “you get less obtrusive air conditioning” with more recently manufactured models, thanks to a broad push in the industry toward quieter functioning. For another, HVAC filtration has advanced by leaps and bounds over the years, helping climate control systems work not against, but in defense of indoor air quality and healthy living. Finally, there’s the fact that, with systems engineered to combat humidity more effectively, spaces air-conditioned by newer technology often feel more comfortable. In short, there are good reasons not to dread the prospect of a breakdown in your air conditioning, but rather to embrace the opportunity. Before doing anything, though, you need to determine the status of your existing system. For an evaluation, seek out a local HVAC contractor or go online to schedule a free in-home consultation with Sears Home Services. Besides reporting on the condition of your system, Sears project consultants can discuss your options and, if desired, guide you from start to finish through the repair or replacement process. Another advantage: Sears backs up all its work with a Satisfaction Guarantee—a commitment to your project success that remains intact even after technicians leave. When it’s the comfort of your family on the line, there’s no substitute for peace of mind.